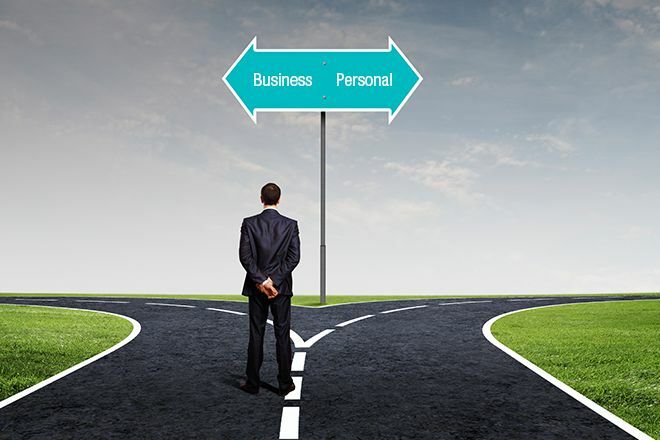 Business Or Personal Bankruptcy: Which One (Or Both)? Small businesses fail every single day in America. By some estimates, 95% of small businesses don’t make it five years. The statistics are sobering. Often, the owners are left with more debt than income from the business, leaving them with no rational choice but to shut down. So how do you know when to throw in the towel and just walk away, or when to file a bankruptcy? It depends on a few pertinent factors. The first and foremost question to ask yourself is whether you’re ready to close the business – permanently. If the answer is yes, then business Chapter 7 may be appropriate. A Chapter 7 of a business entity closes the business immediately. All assets, including bank accounts and accounts receivables, become property of the bankruptcy estate. So if you have any desire to keep operating the business and to simply rid your business of debt, Chapter 7 is not for you. Consider a Chapter 11 for this purpose (but keep in mind that Chapter 11 tends to be extremely expensive and typically not appropriate for the small business owner). Does your business have assets, like inventory, equipment, vehicles, money in bank accounts, accounts receivables? Do the debts of the business far outweigh the assets, making it difficult to operate at a profit? If so, it might be wise to file a business Chapter 7. The bankruptcy trustee takes control of all assets at the time of filing and liquidates them, distributing the proceeds amongst your business creditors. Could you do this yourself without the business bankruptcy filing? Yes; it’s called a “wind down” under Florida law. But notifying all creditors, listing all assets, selling all assets, and deciding how to distribute the proceeds fairly to the creditors is a lot of work. It can also be problematic. Why take a chance of one of the creditors later suing you for not giving them their fair share of the assets? Or for not selling the assets for a high enough price? Let the Chapter 7 trustee do all this work for you. It’s absolutely worth the relatively small expense of hiring an attorney and filing. In order to obtain credit for their businesses, most small business owners are required to personally guarantee the debts. Creditors can then sue the individual owner long after the business has failed and closed. Business bankruptcy does not solve this problem. In this instance, I typically recommend a personal bankruptcy to discharge the personal liability, either along with, or even instead of a business filing. I’m often asked by small business owners who have not personally guaranteed the business debts, why they even need to file business bankruptcy. Why not just shut down and move on? There is a reason. In Florida (and many other states, I’m sure), failure to properly wind the business down and notify creditors appropriately may incur personal liability for the business owners — regardless of whether or not the debts were personally guaranteed. And wind down is not always available. If there is pending lawsuit against the business, the law does not allow you to wind it down. Even if you could, you might not want to for reasons mentioned previously. It might be safer, easier, and cheaper to file a business Chapter 7 instead. If there are no assets, and no creditors have sued the business (yet), you might just want to wind down in accordance with state law. Remember, however, that assets include things you might not have considered, like accounts receivables; intangibles like good will and a company phone number that’s been used for many years; the name of the business; even a website domain. If any of these things have inherent value, they are assets subject to sale and disbursement to creditors. All corporate entities are required by law to be represented by an attorney when filing for bankruptcy. So if you’re considering a business bankruptcy, first seek a consultation with a qualified bankruptcy attorney in your area.